– Improved Carrier Detect routine in Autodialer. Now works with all BBSes. – Changed back arrow to non-destructive. Fixes problems with mci commands on image bbs systems. CRT version for Easyflash now has additional tools and some old school phreaking tools included for fun. Due to time constraints and burnout, I’m not going to pursue SuperCPU, RRNet, and ide64 Compatibility at this time. My (messy) sourcecode is pasted below. I encourage anyone who wants to, to add those (or other) features and submit them. I’ll do a v2 or start betas for a CCGMS 2018… or something like that. Bugs should be mostly gone, though there might be a few lurking here and there. Mostly, it works, and works really well. It was a lot of fun to mod CCGMS, as it was the first terminal program I ever used when I was a kid. It held a lot of fond memories for me, and I’m sure most of you. Thanks to Craig Smith for releasing his source to the public. And thanks to all of you for your support and encouragement in the making of this version. Sorry I couldn’t honor every request, but I hopefully made most of you guys happy. Again, if you guys wanna add anything, please do and submit it to me. Or release your own versions. I don’t claim any rights to this. I just wanted to see it exist. So it’s all good. 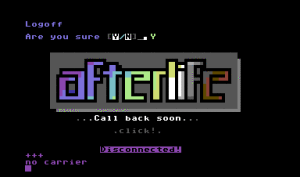 – Ansi Escape Codes not finished. 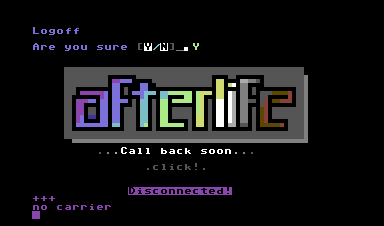 Ansi Colors are working. – Hang up routine needs to be improved. Fixed in Beta 3. – Carrier Detect routine needs to be improved. Fixed in Beta 3. – Swiftlink has some hang issues with multi-punter transfers. – – Fixed in Beta 2. Swiftlink flow control was messing with grabbing the headers. – up9600 not initializing when loading on startup if saved in phonebook config. fixed in beta 4. – bbs systems with 5 digit port numbers were dialing incorrectly. fixed in beta 5. – bbs systems that answer but then give a busy message now detect as busy in phonebook. added in beta 5. might still be buggy. please test! – swiftlink not playing well with bbs server as modem emulator. tcpser seems to work ok. to be fixed in the future. – up9600 uploads would sometimes crash/hang indefinitely during transfer. fixed in beta 6. – the f2 send seq file command had bugs on both swiftlink and up9600 modems. fixed in beta 6. – f4 buffer load and transfer crashed in up9600 randomly. fixed in beta 6. – users with CMD SuperCPU couldn’t use upload/download. SuperCPU support will be working in beta 7. – Making a macros too long botches the macros next to it. Need to put limits on macros length. To be fixed in beta 7. Send bug reports and feature requests to alwyz@sceneworld.org. I would like to get as many bugs patched and features added as possible before the final version is released. Note to Wi-Fi Modem users: Make sure flow control at-command is issued before using 9600 baud. EasyFlash 3 edition coming soon!